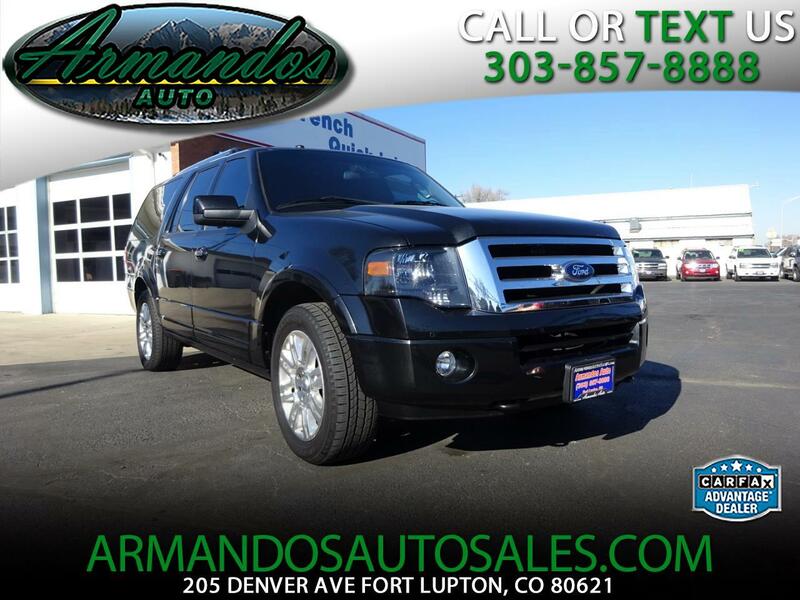 This 2012 Ford Expedition Limited EL 4x4 shown in Tuxedo Black is powerful and versatile! This full-size SUV gets it done with a 5.4 Liter V8 offers 310hp under the hood and a 6 Speed Automatic that brings in up to 20mpg. You can expect a smooth ride for up to 8 passengers thanks to independent rear suspension while 4x4 keeps you on track in any road condition. Superb cargo and towing enable your family to maintain it's active lifestyle with no worries. In the driver's seat you will feel the luxurious comforts. Ford SYNC w/Sirius XM allows you to plug your phone in for hands free messages, calls and music through the 7 speaker audio system. Relax in heated/cooled leather seats with power controls. Check out the dual zone auto climate control, leather-wrapped steering wheel, heated mirrors, extra lighting and great storage options.Too many luxuries to count but you will appreciate each and every one! Everyone also rides safely due to the great safety features that come standard with Expedition. Six airbags, SOS post-crash alert, stability and traction control and tire pressure monitoring all ensure a safe ride for you and your loved ones. What a great choice in Limited EL! Print this page and call us Now... We Know You Will Enjoy Your Test Drive Towards Ownership!